In a small bowl, combine cracker crumbs and sugar; stir in butter. Press onto the bottom and 1-3/4 in. up the sides of a greased 10-in. springform pan; set aside. In a large bowl, beat the cream cheese, milk and vanilla until smooth. Add eggs; beat on low just until combined. Stir in chocolate chips and marshmallows. Pour over crust. Place on a baking sheet. Bake at 325° for 40-45 minutes or until center is almost set. Sprinkle with marshmallows. 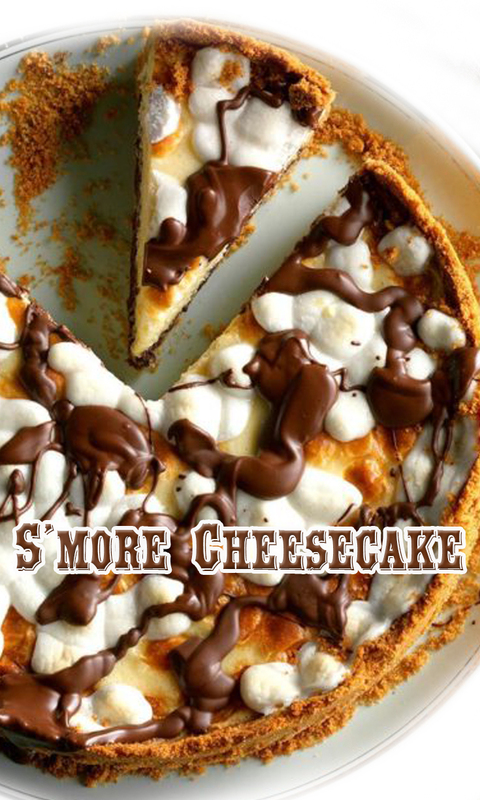 Bake 4-6 minutes longer or until marshmallows are puffed. Meanwhile, melt chocolate chips and shortening in a heavy saucepan or microwave; stir until smooth. Drizzle over marshmallows. Cool on a wire rack for 10 minutes. Carefully run a knife around edge of pan to loosen; cool 1 hour longer. Refrigerate overnight. Remove sides of pan. Refrigerate leftovers.